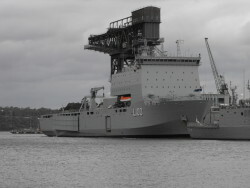 HMAS Choules intercepted and returned 46 Vietnamese asylum seekers who had been found in waters north of Australia. 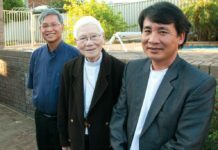 Jesuit Refugee Service Australia (JRS) has expressed deep concern about the recent interception and return of 46 Vietnamese asylum seekers who had been found in waters north of Australia. 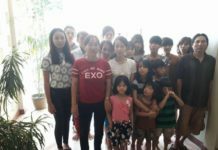 The asylum seekers were intercepted by HMAS Choules and swiftly returned to the city of Vung Tau, south of Ho Chi Minh City, last Friday. Under customary international law, Australia is obligated not to return an individual to persecution or other serious harm. By intercepting asylum seekers at sea and denying them access to a proper refugee status determination process (RSD), Australia is at risk of breaching its international obligations, and, more importantly, returning people to serious harm. The government recently passed legislation which empowers the Minister to detain and transfer people on the seas, even if this means that the Minister fails to consider Australia’s international legal obligations, which includes the principle of non-refoulement (the right not to be returned to persecution). It is important to note that domestic legislation, such as the above, does not overrule a state’s obligations under international law. JRS is concerned that the 46 asylum seekers had their protection claims assessed under the Department of Immigration’s “enhanced screening process” – an attenuated procedure conducted on board Customs and Navy vessels at sea. Australia’s “enhanced screening” process, which bypasses rigorous refugee assessment standards in favour of a swift resolution, has already led to hundreds of Sri Lankan asylum seekers being denied access to a fair and comprehensive hearing of their claims. Approximately 1,000 asylum seekers have been forcibly returned to Sri Lanka where some have allegedly faced arrest, detention, interrogation and torture. ‘Without a proper assessment, the government cannot determine whether it is safe to return asylum seekers to their country of origin. The swift and clandestine assessment of asylum seekers in transit and en route to Australia represents an unprecedented departure from this country’s already-punitive asylum protocol. Asylum seekers must be given the opportunity to voice their protection claims, be granted access to legal assistance, and have an independent review of the decision,’ says Mr White. The U.S. Department of State Country Report on Human Rights Practices for 2013 found that Vietnam is an “authoritarian state ruled by a single party” where “security forces committed human rights abuses”. The Report notes that the government places severe restrictions on citizens’ political rights and civil liberties, and highlights the issue of corruption in the judicial system and police. Human Rights Watch reports that there are an estimated 150-200 political prisoners held in the country. JRS is also concerned over the safety of ethnic groups fleeing Vietnam, such as the Montagnards and Hmong, who are subjected to arrest, torture, detention, and extra-judicial killing. 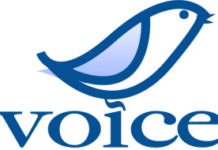 There are credible reports of the destruction of churches and forced renunciation of faith. Whilst JRS acknowledges and supports the interest states have in the eradication of people smuggling, it objects to any approach that denies those asylum seekers who have engaged people smugglers from accessing a country’s refugee determination process. ‘Refugees may resort to people smugglers out of desperation and because they have no other means of obtaining a visa to enter the country legally. Until alternative pathways to safety are introduced, asylum seekers will be forced to solicit the services of smugglers so they can reach safety,’ explains Mr White. JRS urges the government to adopt a policy of transparency vis-à-vis asylum seeker issues, to assess properly the validity of their claim to refugee status, and not to return anyone to a country where they may be subjected to harm.